Sandy Lerner is a successful entrepreneur, businesswoman, and devoted philanthropist, best known in the technology industry as the co-founder of Cisco Systems with her partner Len Bosack. After graduating with distinction and a Bachelor’s degree in Political Science from Chico State University, Lerner went on to attend Claremont and Stanford graduate schools. While a student at Stanford, Lerner worked as a computer researcher. After graduating Stanford with an MS in Statistics and Computer Science, she was promoted to the Director of Computing Services for the Graduate School of Business. In 1986, she and Bosack started Cisco Systems where Lerner headed up all departments except engineering. Through Lerner and Bosack’s leadership, a corporate technical and cultural foundation was put in place, which allowed Cisco to grow and dominate the marketplace. Many aspects of this initial foundation remain in place at Cisco today. They led the development of ideas such as the first high-performance multi-port interface line cards designed specifically for routers and new sophisticated routing protocols. Networks throughout the world continue to rely on these and other innovations whose beginnings can be traced to the work of Bosack and Lerner. Following her departure from Cisco, Lerner focused on philanthropic endeavors and other entrepreneurial ventures, including Urban Decay — a ground-breaking cosmetics company. Lerner’s charitable activities include working with animal welfare and animal rights organizations, creating and improving animal shelter internetworking and various other animal causes. 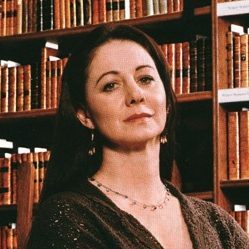 In 1992, Lerner established the Centre for the Study of Early English Women’s Writing and the Chawton House Library in Hampshire, England, donating her collection of works by women writers published pre-1830. Since that time, the Library has grown to be the pre-eminent center for the study of early women’s writings and has an established degree-granting partnership with Southampton University. For her various charitable efforts, Lerner has been awarded four honorary Ph.D. degrees and numerous other awards. She currently resides in Virginia where her organic Ayrshire Farm has achieved recognition as the first veal operation, restaurant, and butcher shop to be Certified Humane in the United States. Lerner continues to devote her time and efforts to her work with Chawton House Library and the animal welfare community worldwide.